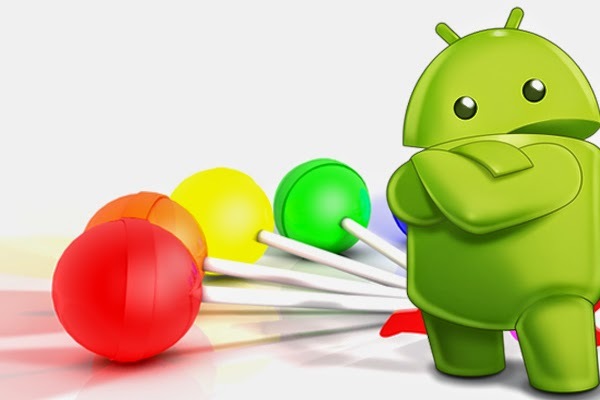 While Apple's new mobile operating system, iOS 8, has been rolling out since Sept. 17, 2014, Google has just announce that its latest operating system, code named Android L, is now released as Android Lollipop 5.0 on 17 October 2014. Both Android and iOS have a large developer community. Android has power of opensource and enormous free learning resources and android programming books available for app developers. Though iOS is not an opensource software it still has strong community support and professional help in terms of learning resource and iOS Programming books readily available for developers. Some developers may be required to do development on both Android and iOS due to a large customer base or other compelling reasons. You must also check our recommended tools for mobile development productivity - Mobile Development Productivity Tools. Even before we start comparing, some of the things you must know about iOS and Android are listed here - iOS app development and Why developers prefer Android . Let us see in this article which platform could emerge as a winner, given that both pose themselves as strong contenders for acceptance in the developer community. To begin with, let us take a quick peek at the Android Lollipop 5.0. According to Google’s Blog, Lollipop is designed to be the largest as well as most ambitious release on Android. With it are included over 5,000 new API’s for developers. It offers a completely new UI design that creates a consistent experience across the mobile as well as internet spectrum by offering a new Google-wide standard called material design. Google’s new innovation called material design offers developers elements such as new theme, new widgets for complex views, as well as new APIs for custom shadows and animations. Hence, developers can utilize the material them for a new style for their apps, while system widgets allow them to set their color palette. At the same time, default animations allows for touch feedback as well as activity transitions. It is worthy to note that this new design language is consistent across Android, Google Chrome, Chrome OS as well as Android wear. This design adds animation to everything from tapping the numbers on the phone dialer to sliding apps in as well as out of the screen. Further introduced is a new runtime, within which developers can test their apps and get them ready for ART (Android Runtime), which is the default runtime in the next mobile platform release from Google. Furthermore, Android Lollipop 5.0 offers enhances notifications and the ability to get control over where notifications appear and even how they look. Developers will now be able to sync them to non-handheld devices too. Also, this OS promises increased energy efficiency through Project Volta, which is Google’s effort to make the platform more energy efficient. Developers will thus be able to given more control over resource usage and save energy. Another advantage that Android 5.0 Lollipop has managed to bring is that it presents notifications from your lock screen. Users can answer calls without unlocking phones and notifications can easily be acted upon or dismissed without having to perform routine actions such as swipes or taps. Next, let us take a quick look at iOS8, which has many new features compared to iOS7. Features as well as functionality take precedence over design in iOS 8. Readers will remember that iOS 8.0 was released with bugs, and Apple had to release an emergency fix to bring back many features that were missing there. Alongside Swift and Apple Pay, which is one of the most popular features of iOS 8, another commended feature of iOS 8 is the Continuity, which as new concept that allows the user to pick off from a device on another device. Continuity allows calling and messages on any devices running iOS 8 and continue web browsing, photo editing, or any other app that the user might be working on. It also offers support for third party keyboards. Thus, users can utilize keyboards of their choice, if they are not content with the predictive keyboard that Apple has included in its iPhone 6 or iPad devices. Additional features include Spotlight search that has been improved on iOS 8 along with other features such as iMessages, Family Sharing, Health Kit and Home Kit, Wi-Fi Calling, Shazam Integration, Siri, and many other features. So Which OS Will The Developers Prefer? Both Android 5.0 Lollipop as well as iOS 8 brings a lot of improvements as compared to the preceding mobile operating systems. For both the companies involved, it involves a lot of stakes including their reputation. As both these operating systems have been launched at the same time, it will take some time for developers to decide whether they favor either of both of these operating systems for their development needs. Let us examine this aspect in brief. 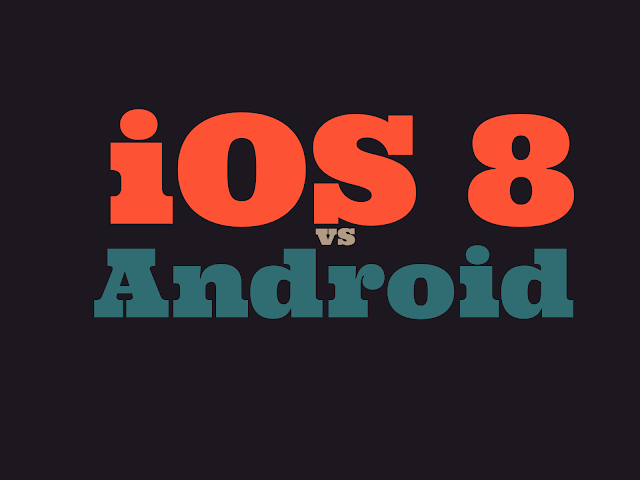 While examining iOS 8, developers will realize that iOS 8 is tearing down the older foundations and attempting to replace it with a new and friendlier platform. 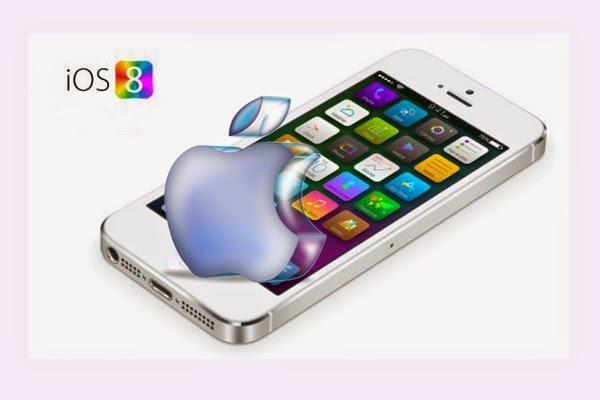 The iOS 8 platform has been thrown open to developers like never before. The iPhone is no more an appliance, but a platform, which the developers can truly exploit for their benefit. Apple has opened up many parts of the iOS 8 that were previously off-limits to third party developers. Now third party developers can develop apps that can integrate into Apple’s sharing system, while replace iPhone’s keyboard or put themselves into Apple’s photos app. Also, widgets can be put into the Today tab or even the Touch ID fingerprint scanner can be used to authenticate the users. Thus, the present version of iOS 8 includes features that were not heard of just a year back. It can be said that Apple has made the biggest change to iOS 8 and how it works, since the launch of the App store in 2008. This makes iOS a friendlier and more useful platform that what users could access before. However, iOS 8 is not entirely without fault. It is full of bugs and at the same time, it is one of the most unpolished versions of iOS in recent years. Already, a number of developers are taking advantage of the new widget functionality in iOS 8’s new widget functionality. However, they have obtained mixed results. Also, third-party keyboard support is present; however, its use ranges from being barely usable to sometimes buggy. Data sharing between some apps is now possible, while the photos app is a huge improvement. Whatever inclusions are present, the full potential of iOS8 still remains to be see, which won’t be visible for weeks or even months after release. At present, the Android Lollipop 5.0 is not quite yet the finished product, and Google has warned that the developer build could cause lost data as well as unexpected crashes. However, many developers have reported that they haven’t experienced any crashes or bugs. Developers are considering the Android version to be extremely rock solid and it seems that this version will emerge as the favorite amongst developers, although it is too early to say right away! This is Ella Bell, working with IT Company Fusion Informatics since the last 3 years. She enjoys writing articles as a hobby on topics related to software, mobile app, tutorial etc.